So here we are at the end, and pardon the use of cliches, but what a long, crazy ride it’s been. BRINK started back in 2006, and it seems fitting we end just shy of the original date it started over the 4th July weekend after attending Anime Expo so many years ago. This comic has always been, from it’s stat an experiment, one to test if I have the will power and dive to continuously update a story week to week, as well as push and play with visual story telling. Did everything turn out the way I had set it up in my mind almost 6 years later? Not perfectly, one thing I’ve taken away from this very long term test, is that I require a fully scripted comic to keep up with. If I could go back and redo a large portion of this story, I would have, there’s a lot I’m not 100% happy with. Or course, on a more positive view, the improvement artwise from day one, all the way to the current, is something I don’t think anything other than having to draw 600+ could have sparked. So, what’s next for BRINK, and my comic work? – Well first, I’m taking a nice break from the twice weekly need to update here, and work on some other side projects for a bit. – Once I’ve had some downtime, I want to re-script and finish the short feature with Five and Janus that suffered a lost of pages during my last move, and as such as sat in limbo the last year. – I’m also plotting to possible put out a small stand alone story focusing on the ‘afterwards’ to the comic. This is something I’d want to spend the needed time to write before I jump into it, so it might be awhile. – Get back into cleaning up the earlier lettering so I can get book two ready for print early next year. 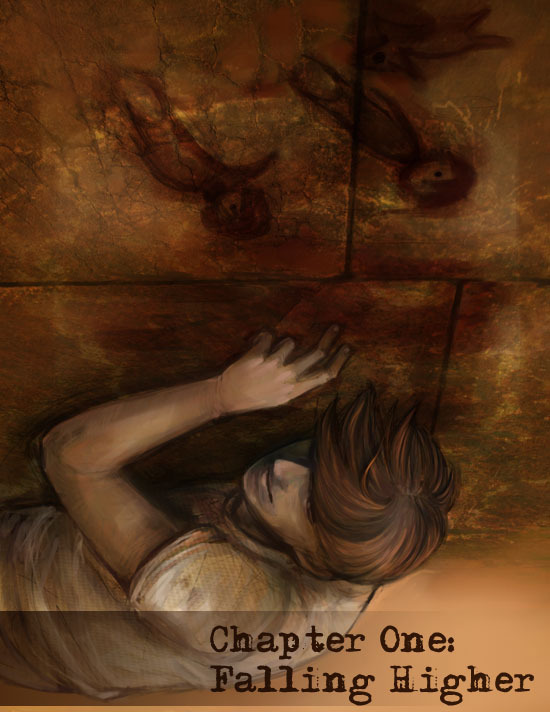 – And, finally continue the monthly updates on my other webcomic project, Asis. I hope everyone remembers this place.